The North Central Texas Area Agency on Aging has a broad range of support services for family caregivers, including Caregiver Support Coordination, Respite Care, Caregiver Information Services, and Caregiver Counseling. The following are eligibility criteria. Some programs, such as Caregiver Support Coordination, have additional eligibility criteria. Caregiver Support Coordination provides temporary assistance to caregivers who are caring for loved ones at risk of premature institutionalization. 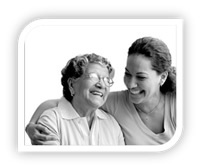 The program’s case managers assess the needs of family caregivers and arrange services that support their goals. These services include respite care, minor home modifications, leasing of emergency response devices, and purchase of health-related goods and supplies not covered by insurance. The program gives priority to caregivers who care for someone who has Alzheimer’s and/or impairments of two or more activities of daily living; care for someone who has been hospitalized within the last two weeks; have had to cut back on work hours because of care responsibilities, and/or has experienced physical/emotional problems because of care responsibilities; care for someone who has no other support—either paid or unpaid; and live in the same home as the care receiver. Visit the Area Agency on Aging referrals page to access screening criteria and referral forms for Caregiver Support Coordination services, as well as criteria for the Care Coordination and Older Relative Caregivers programs. You can also call 1-800-272-3921 to get more information or make a referral. The Caregiver Respite program gives family caregivers a temporary break from their caregiving responsibilities. It issues vouchers to caregivers so they can make arrangements with providers they trust. The standard one-time benefit is $300, which can be used all at once or gradually over a three-month period. The North Central Texas Area Agency on Aging has resource specialists and contractors who provide general information and connect caregivers with programs that support their care goals. Call 1-800-272-3921 to speak with an Area Agency on Aging resource specialist. We’ve created three publications to help caregivers understand their options for resources in the community or care in assisted living facilities and nursing homes. Family Caregivers Online – This web site, developed by contractor Zanda Hilger, contains educational materials and resource links. Workshops conducted by the Alzheimer’s Association of North Central Texas – Caregivers who live in Erath, Hood, Johnson, Palo Pinto, Parker, Somervell, and Wise counties can call the North Central Texas chapter at 817-336-4949 for dates and locations. Caregivers of persons with Alzheimer’s can also call the Alzheimer’s Association’s national helpline at 1-800-272-3900. Workshops conducted by LifeRoads – LifeRoads provides community education for people with low vision and their caregivers. Its presenters discuss vision loss, adaptive aides, and community resources. Call 214-435-4347 for more information. Caregiver Counseling – The Wellness Center of Collin County provides face-to-face individual and group counseling to family members who are caring for older adults. Z-Quest provides individual counseling over the phone to family caregivers. REACH II – The Alzheimer’s Association of North Central Texas provides intensive in-home education and support to caregivers who live in Johnson and Parker counties. Call 817-336-4949 for more information. The Older Relatives Caregivers program provides temporary assistance to persons who are at least 55 years of age and either have primary custody of grandchildren under the age 18 or live with and care for adult children with severe disabilities. The program’s case managers assess the needs of older relative caregivers and arrange services that support their goals. These services include respite vouchers that can be used to pay for in-home services, day care or summer camp; medical equipment that’s not covered by insurance; benefits counseling; and consultations with attorneys to establish guardianship. The program gives priority to caregivers who care for more than one person (i.e. grandchild, elderly family member, disabled adult); have had a hospitalization within the last four weeks; have experienced physical problems because of their care responsibilities; care for those who have no other support – either paid or unpaid; and/or have income at or below 150% of the federal poverty level ($1,458 for individual, or $1,965 for a couple). Visit the Area Agency on Aging referrals page to access screening criteria and referral forms for Older Relative Caregiver services. You can also call 1-800-272-3921 to get more information or make a referral.